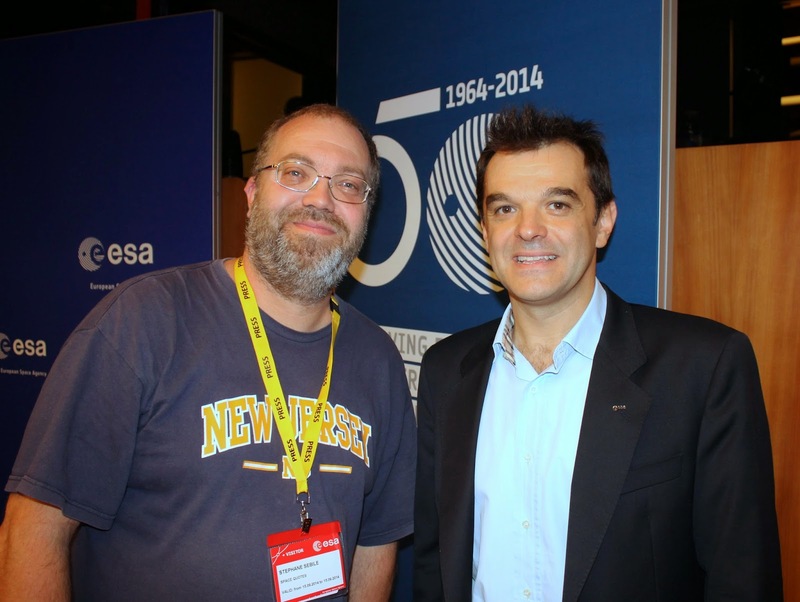 Andrea Accomazzo est le Flight Director du programme Rosetta / Philae pour l’Agence Spatiale Européenne (ESA). What is your background ? Why have you choice to work with space ? I am an aeropsace engineer graduated at Politecnico di Milano. I have always been fascinated by technology and in particular by airplanes and spaceflight. I actually wanted to be a military pilot and completed the basic training in the Italian Air Force, but then decided this was not my way and completed the engineering studies. 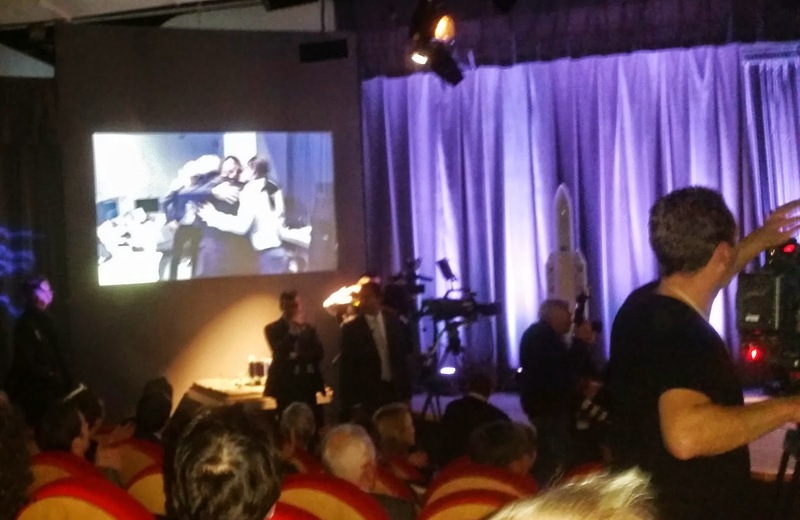 Space was then the most fascinating part and ... life brought me to Rosetta. How are you become Flight Director and why have you accept to become Flight Director ? What is exactly your job as Flight Director ? I joined the Rosetta operations team in 1999 as Spacecraft Operations Engineer. After launch in 2004 I was nominated Spacecraft Operations Manager for the Venus Express mission. Once this was set around Venus and in routine operations in 2006, I had the chance to come back to Rosetta as Spacecraft Operations Manager. I kept this role till April 2014 when, after the hibernation exit, I had to hand it over to a colleague since I was in a double role since 2013. At that stage I only kept the Flight Director role, i.e. the highest authority at mission level for what concerns operations. It is a bit like the director of a newspaper, which is however owned by the editor. As a Flight Director you are responsible to the execution of all operations. There are objectives to be achieved and you prepare a plan to complete all of them. You make sure all the teams (flight control, flight dynamics, ground stations, software systems, computers, general facilities, etc.) have their plans ready and tested well before operations. Once in operations everybody knows what to do in nominal situations. Where there is something not nominal or interactions between the teams then it is up to the flight director to decide. 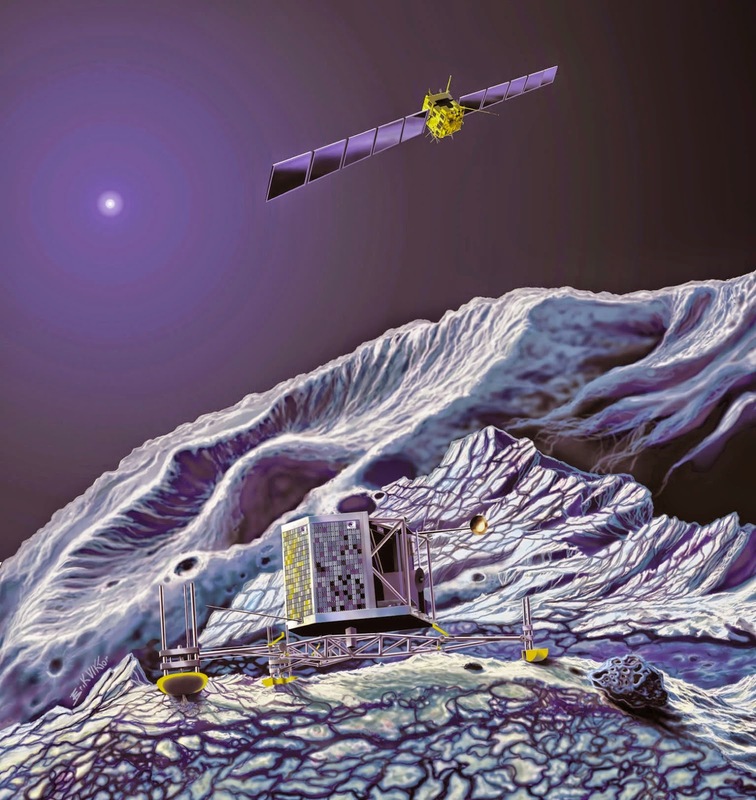 What was your first feeling when you have understand that Philae touched the ground ? A sort of freedom. When Rosetta came out of hibernation in January 2014 was a huge joy, our adventure was beginning at that time. 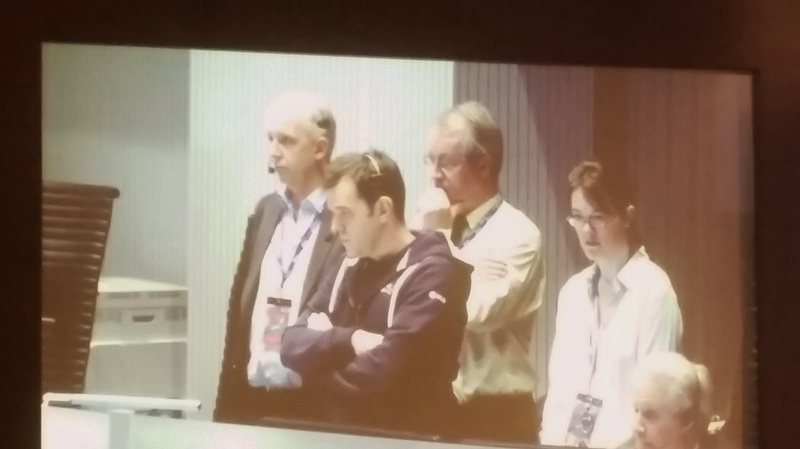 When Philae landed I had the feeling I had completed my mission, the game was over and we had won it. We were also a bit tired and we were glad that it came to a happy end. I got in touch with Rosetta in Dec 1996 when I was still working in Italy, it is now more then 18 years ago. I never had a single day when I felt bored. The mission is so exciting that you can not lose motivation. However this has to be true for the whole team and there were for sure phases of the project where we had to take care of this. E.g. I spend ca. 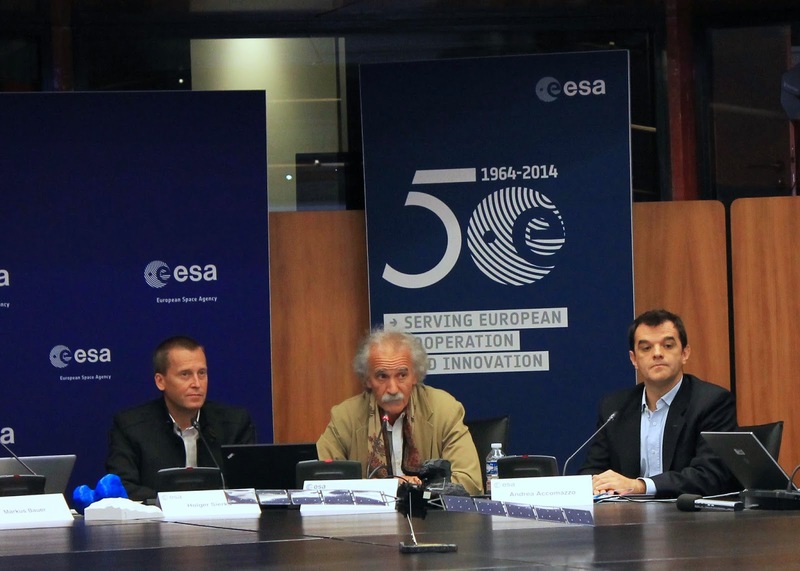 3 years on the Venus Express mission, other colleagues had shorter experiences with other spacecraft e.g. at the beginning of the hibernation phase. I think you always need to look ahead and see where you want to go, share this with your colleagues, and define together what the way is. If the vision is shared then everybody finds his/her own motivation to go for it. It does not work if it is imposed. I suppose, you would like to go in space yourself. Why would you want to go in space ? And which destination would you like to go ? I would go because it must be a fantastic feeling, you have the chance to observe ourselves (the Earth) from outside, from a different point of view. If I could I would go to the Moon. I think for the time being anything else is unconceivable. Next step would be an asteroid for me. It must be a great feeling on being on a body that you can walk around completely. Retrouvez les interviews d’Elsa Montagnon, la Deputy Flight Director de la mission Rosetta/Philae et de Stephan Ulamec, le Program Manager de la mission pour la DLR.